Double Bass, graduated from the Sydney Conservatorium of Music in 2005 completing his Bachelor of Music in Jazz Studies with first class honours. 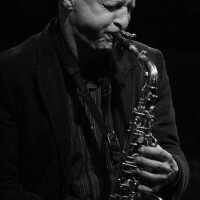 He has performed nationally ad internationally with a number of Australia’s jazz greats including Mike Nock, Dale Barlow, Dave Panichi, Kristin Berardi, Elana Stone, Vince Jones and Sean Wayland. Mike is a member of many fine young jazz groups that feature Sydney’s cream of the crop. Amoung these groups are The Vampires, Arrow, Livewire, The Simon Ferenci Quartet, Farfinkel Pugowski, The Adorables, The Keizer/McGinnest Quintet, and The Three Omegas. 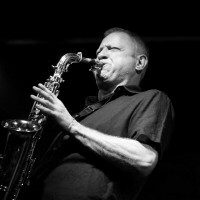 Mike is currently a member of the jazz faculty at the Wollongong Conservatorium of Music. 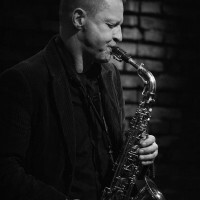 Born in Gdańsk, saxophonist, bass clarinetist and composer, grew out of yass – a socio-artistic movement that in the 80-ties/ 90-ties opposed the rigidity of Polish jazz environment. 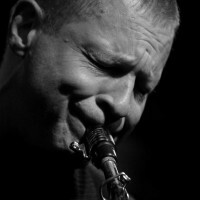 Together with Tymon Tymański and a group of other musicians free from any doctrine they changed the image of Polish jazz music. Trzaska was the co-founder of the most important yass group – legendary Miłość and of as creative Łoskot. Although the impetus of yass faded away many years ago he became the leader of national improvisation scene. After the yass period he recorded a few concentrated and quiet albums with the section of Oleś brothers. He also accompanied poets – Świetlicki and Andrukhovych, he created muical – literary projects with Andrzej Stasiuk. 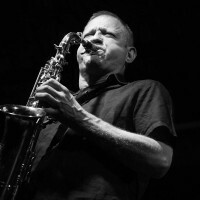 Today he is the leader of international trio Volumen and the member of among others Resonance of Ken Vandermark, Magic – Joe McPhee or Shofar trio with Raphael Rogiński and Macio Moretti – playing Jewish music. But above all he realizes himself in the radical contemporary free jazz. He travels around the world cooperating with personalities of world improvisation among others with Peter Brötzmann, Joe McPhee, Ken Vandermak, Peter Friis Nielsen, Clementine Gasser, Pete Ole Jorgensen, Michael Zerang, Franz Houtzinger, Jay Rosen, Domik Duval, Mark Sanders. He has recorded around thirty albums.